The United States Adult Soccer Association (USASA) is a non-profit, 501 (c) (3) corporation whose mission is to advance amateur adult soccer play in the United States. USASA is incorporated in the State of Tennessee and have been in business since 1985, when the United States Soccer Federation reorganized itself into youth, amateur, and professional divisions. Located in every state, the USASA has an expansive soccer market-reach in age, gender and ethnic target groups. Our membership base is engaged and active on our web-site and social media. 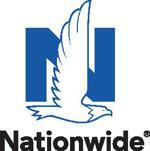 US ADULT SOCCER ASSOCIATION is excited to announce a new partnership with Nationwide®. Through this partnership, USASA members can get reliable protection for all the things that matter to them, including exclusive discounts for select Nationwide products and services. And when you purchase a policy through Nationwide, it helps to support our organization. Launched on April 6, 1996, Major League Soccer is the U.S. Soccer-sanctioned Division I outdoor professional soccer league in the United States. USASA members benefit from special ticket promotions and programs of MLS. A long-time partner with USASA, Official Sports International (OSI) is one of the finest suppliers of referee equipment and accessories available to officials today. Sport Pins International, Inc. has been manufacturing top quality lapel pins, medallions, commemorative coins, embroidered patches, key chains and other recognition products since 1980. USASA Members receive a 10% discount on products! Nike, Inc., based in Beaverton, Oregon, is the world’s leading designer and marketer of authentic athletic footwear, apparel, equipment and accessories for a wide variety of sports and fitness activities. United Soccer Coaches is the largest coaches’ organization in the United States. Hyatt is a global hospitality company with widely recognized, industry leading brands and a tradition of innovation developed over its more than fifty-year history. Its mission is to provide authentic hospitality by making a difference in the lives of the people it touches every day. For over 60 years, K&K Insurance has been recognized as the leading provider of sports, leisure and entertainment insurance products. As one of the largest Managing General Underwriters in the United States, we perform a variety of traditional insurance company functions on behalf of the insurance companies we represent. As an independent insurance agency, Des Champs & Gregory represents over 20 major insurance companies giving our customers many venues for personal and commercial insurance, estate planning, life and health insurance, employee benefits, workers’ compensation, and all other forms of insurance. Our “all-lines” agency coverage provides the flexibility to customize a total insurance package for each client we serve. OPA physicians are board certified in Orthopedics, Sports Medicine, Physiatry, Neurosurgery and Anesthesiology / Interventional Pain Medicine, and each has advanced subspecialty fellowship training in Sports, Joints, Foot & Ankle, Spine, Neurosurgery and Trauma.